Where do I use my John Lewis Home Insurance voucher code? "Up to 20% off when you take out your policy online." John Lewis Home Insurance offers quality cover that fits your home. With three levels to choose from- essential, plus and premier you can make sure your building and contents are protected as well as ensuring alternative accommodation, accidental damage cover and home emergency cover. If your home has specific cover requirements, no problem. John Lewis's Specialist Home Insurance can offer a tailored policy to suit you. With the £50 voucher code for John Lewis Home Insurance you can save yourself money when deciding your cover. You can also enjoy 20% online discount with John Lewis’s Premier, Plus and Essential Home Insurance. To get a quote today simple visit the John Lewis Home Insurance page and answer the quick questions which will help decipher which policy is right for you. Then, simply pick your ideal one and use the voucher code and online discount to save money on your purchase, it couldn’t be simpler. To find out how to renew your John Lewis Home Insurance visit the website and click renew your home insurance policy. Enter your email, policy number, date of birth and postcode and follow the steps to renew your cover, to keep you protected for another year. If you’re unhappy with your plan or require a different one you can always retrieve a new quote for another policy that’ll suit your needs better. 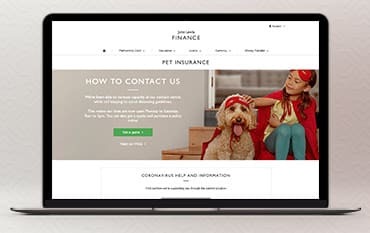 If you're not sure what insurance policy to choose review John Lewis Home Insurance and discover what they can offer in terms of protection and cover. John Lewis offer three levels of cover for you to choose from. No matter which you pick you can always expect trust and quality service. 99% of customers recommend John Lewis Home Insurance, they don’t ask you to itemise individual possessions up to £3,000, if you have a home emergency they’re on hand 24/7 and they’ll find alternative accommodation if you can’t stay in your home. Visit their website now and review their policies to find your ideal plan. How do you calculate the cost of my home insurance? The amount you pay for home insurance is calculated by looking at many different factors including your home's location, size, construction type and security levels, the value of your contents and your claims history. Are my children's possessions covered whilst they're away from home? Student cover is included in specialist home insurance cover and can be added to all essential, plus and premier cover levels. Can you insure my second home? Yes, second homes, holiday homes and let properties can be insured under John Lewis' specialist cover. John Lewis Home Insurance state that if it matters to you, it matters to them. Get a quote today and you could save 20% when you buy online. (Discount includes introductory and web discount, first year premium only. Minimum Premiums apply). John Lewis home Insurance is comprehensive and complete, with unlimited Buildings and Contents Cover as standard to protect your household items as well as your home, unlimited Alternative Accommodation to find you somewhere to live if your home becomes uninhabitable, optional accidental damage cover, and a total valuables limit of at least £30,000 as standard. John Lewis Home Insurance offers cover to suit your needs. Choose from Essential, Plus and Premier Cover to get the level of cover that’s right for your home. With their Premier Cover, they don’t ask you to estimate the value of your contents or the cost of rebuilding your home because they offer unlimited Buildings and Contents Cover (limits apply to valuables, individual items and money).